To get away from the grind of daily life, I decided to distract myself with a baking project: Dim Sum Curry Puffs! They're courtesy of one of my favorite contestants from this season's The Great American Baking Show, Stephanie. She now has a blog and a new follower!!! After seeing her curry puffs showcased on the The Finals Signature Challenge and the recipe posted on her blog, I knew I had to try them out, ASAP. Savory pastries are my jam. 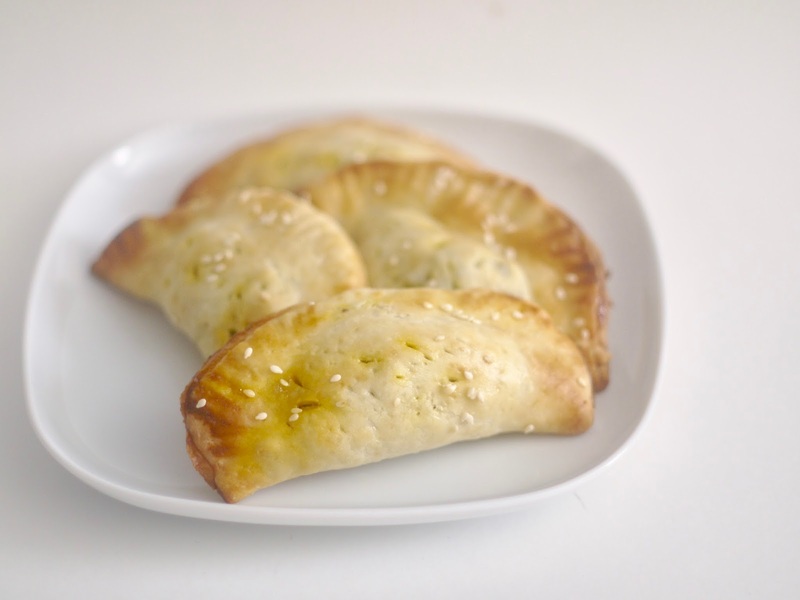 These curry hand pies are the perfect snackable treat: they're flakey, buttery and flavorful--maybe a good game day snack for a particular big football game coming soon? 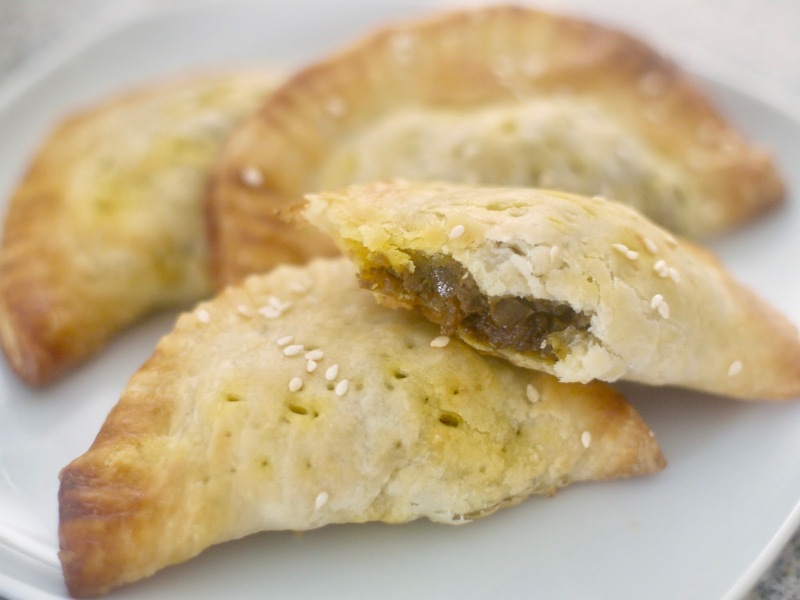 The Recipe: Dim Sum Curry Puffs from Sugar Bear Bakes. A little tip---be sure to add the soy sauce and salt a little at a time to the filling instead of dumping in all in, as I almost did. Season to taste but she recommends to make sure the filling is well seasoned since the crust will absorb the flavors as it bakes.